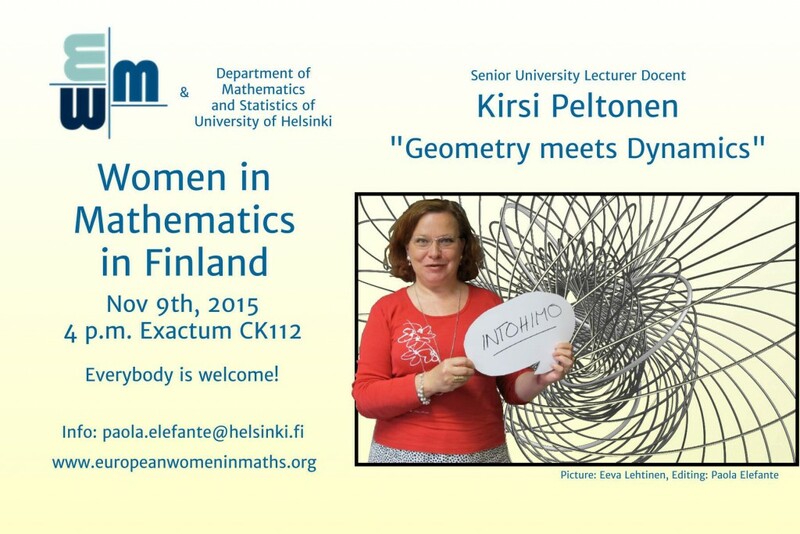 I am so excited to announce this upcoming event: the first lecture Women in Mathematics in Finland. I organised the seminar as national coordinator for European Women in Mathematics, since we discussed with the local members that we needed our local network to be more active. Visibility for women in mathematics is much needed in Finland, especially if we consider that only about 4% of math professors (associate, assistant, full, emeritus) are women. I am still in search of why it is so, considering Finland is one of the top countries in Europe regarding gender equality. I owe a thank you to our Department Head Mats Gyllenberg, who did not hesitate to sponsor this first event and will say some opening words. Kirsi is a force of nature, as the picture she chose for the poster gives away. Her research is mostly in the area of differential geometry, but she goes beyond pure mathematics research. Last year she pioneered an interdisciplinary course at Aalto University about Mathematics, Art and Architecture, that was concluded by a final exhibition of "math-art masterpieces". She is passionate about teaching and never stops searching new ways to improve. 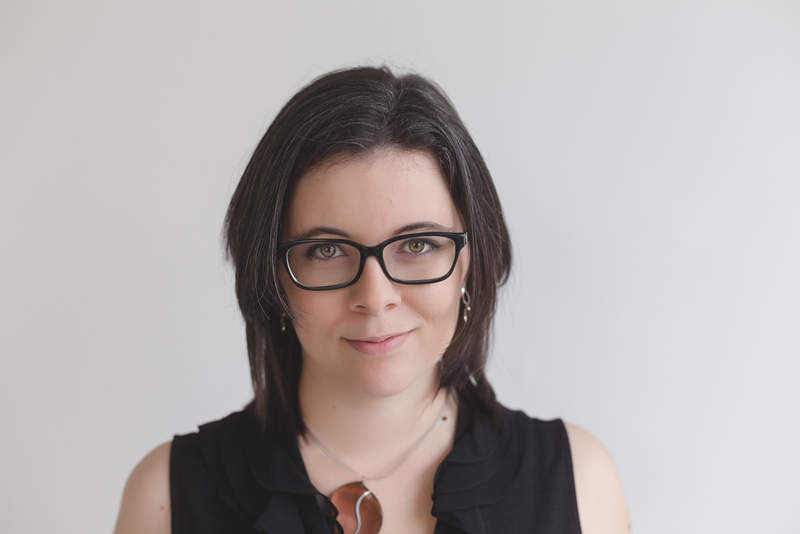 You can read her recent interview on Kumpula Women blog, to have a taste of her views before the talk. The poster of the event. Only in the few years I spent here, I met amazing women working in science. Maybe I was lucky in my encounters, but I less frequently find the same passion and enthusiasm in men, as I found in many women here. I think of Johanna, who works so hard to improve mathematics teaching at any level; Anne-Maria, who has always been busy with research, training students for Math Olympiads and writing for the magazine Solmu; there's Martina, who's completing her postgrad studies and is a mother of three; Åsa, who does research with one hand and coordinates a doctoral school with the other; Hanne, on whom you can always count to get things done and well. I could go on for hours and these are only few of the amazing women I met at my math department (I apologise to all those who did not appear on the list: it was a brainstorming!). Maybe I notice their achievements better because I feel I can relate to them, but I really need to feel this connection in my daily life. It gives me great courage to look at these close-by women and see that they are making it. At the same time, I have the privilege of talking plainly with some of them and of learning their difficulties and how they overcome them, another precious contribution. In the spirit of sharing this opportunities with other girls who are in need of role models to relate better to, I started this series of seminars. Contents will be scientific (no policy making this time! ), but accessible to undergrad students. 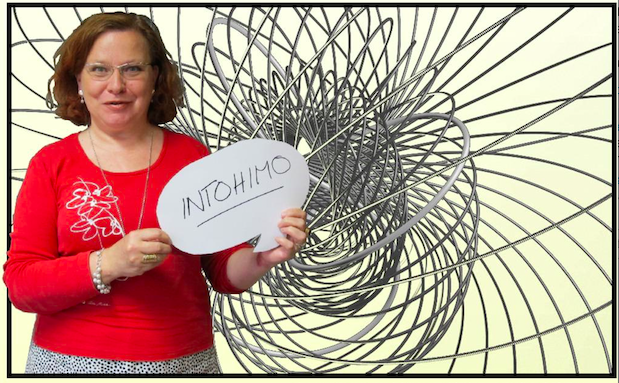 Let's highlight women's contribution to Finnish mathematics!